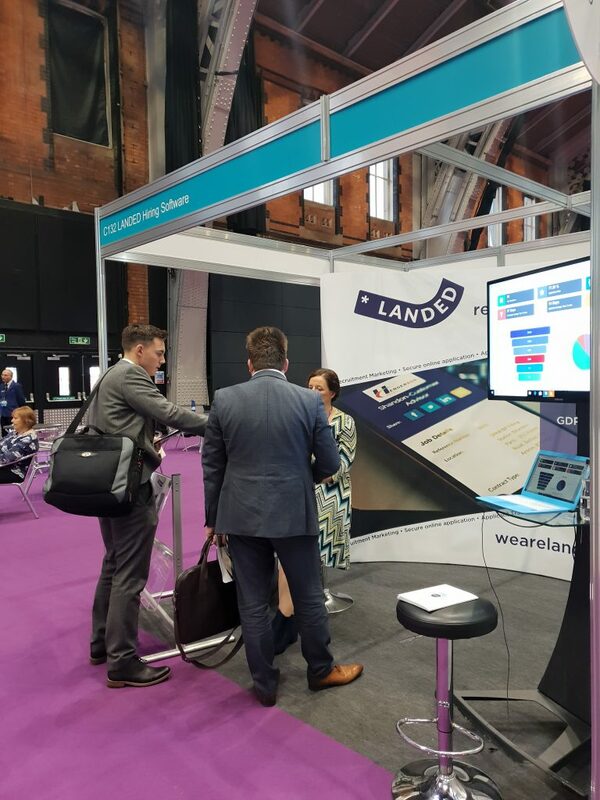 Last week we attended the CIPD Annual Conference and Exhibition in Manchester where we exhibited how we integrate new marketing methods with our applicant tracking technology to offer a complete all-in-one platform! As usual, there was a load of great speakers not to mention 5,000+ people professionals attending. It really was a whirlwind two days which we enjoyed thoroughly. There was a huge focus on experience and wellbeing and how the technology we will be using in the future within HR, technology and humanity was really in the spotlight! Some of the standouts were the talk from author Rachel Botsman where she discussed the concept of trust and its place at work in her opening keynote. Trust is definitely a valuable commodity to any organisation but what does it mean to build trust within our teams. Rachel began her talk giving a great example of Amazon, when you order from them you know you’ll get your delivery, but if you ask in the context of how they treat their employees then you may find you have a different answer. Trust is also about bringing people from the unknown to the familiar and with Amazon they are now a trusted brand, but this didn’t happen overnight, this took many years of building a reputation of reliability. Rachel also got quite a few boos when the name ‘President Trump’ came up, unsurprisingly to most of us! Emma Gunes, CEO of LANDED took time out from our demonstration stand to attend several lectures over the two days. One of the talks that stood out was titled “New trends in recruitment to attract the talent you need to succeed”, featuring Katrina Hutchinson-O’Neill, Group Head of Resourcing at StepStone and Jessica Heyes, Head of Talent McCann Worldwide. Candidates are ‘picky customers’ and look beyond the job description, so how can those responsible for attracting talent elevate and promote the ‘employer brand’. But just what is employer brand? How do you define your employer brand, and as Jessica Hayes put it… “brand is intangible, but it is made up of tangible interactions”, confirming our belief that every step, or interaction, in the recruitment process from moment of engagement to the final decision plays a vital role in defining your employer brand and employer image. Having a good process in place is vital to ensure you not only engage the best talent NOW but also connect and maintain relations with the best talent for future hires. It became clear that the impact technology has had and will continue to have on ‘recruitment process’ is not something everyone in the industry has fully reconciled to and many HR professionals are seeking new and innovative solutions to ensure they are attracting the very best to their organisations. 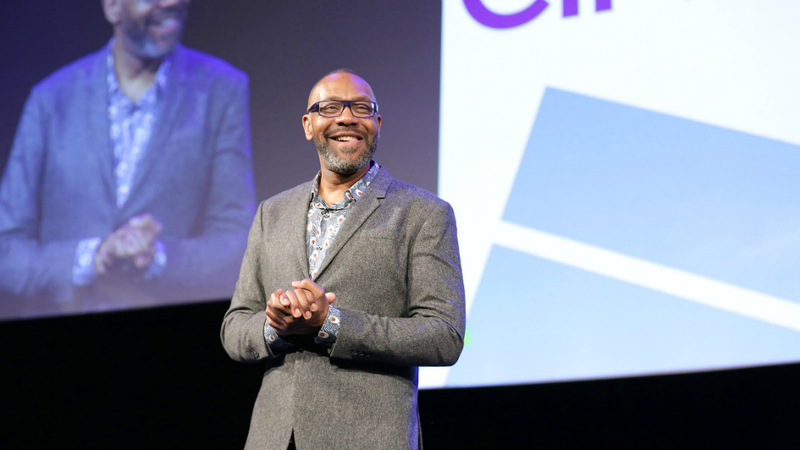 Sir Lenny Henry Comedian, Actor, Writer, TV Presenter, Co-founder of Comic Relief and Chancellor of Birmingham City University delivered an inspirational closing keynote on “demanding more diversity and true inclusion”. As we all know DIVERSITY is the “buzz” word in HR at present, with many organisations realising that diversity comes in all shapes, sizes and colours and that having a truly diverse workforce can have a dramatically positive impact on business performance. Lenny Henry covered this very serious topic with his usual wit and charm and it is clearly something he is absolutely passionate about. An informative and brilliant way to close two packed days of fun and learning. We particularly enjoyed the second day’s conference programme which featured sessions on the plus points of automation and advice about analytics. 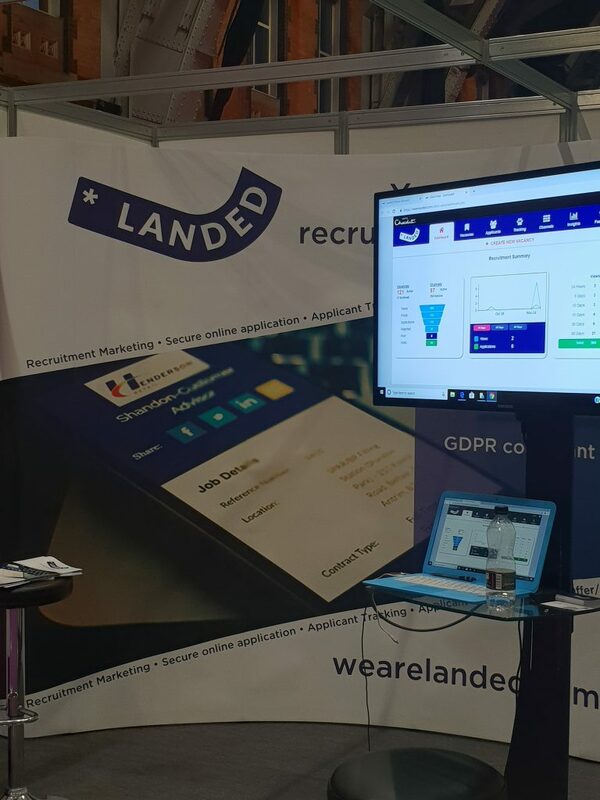 Our CEO and Co-Founder Emma and Client Account Manager Lauren got to impress expo attendees with our clean and uncomplicated dashboard and intuitive recruitment platform. There were a lot of questions in relation to compliance and how we can create recruitment marketing and branding on the platform to make it more personable and provide that human touch within automation. We learned that there are loads of Companies out there that really want to simplify their recruitment process. They were also interested in a more streamlined way to screen candidates and optimising applications for mobile devices with the option of launching recruitment campaigns across a range of channels. All of this including a platform that is GDPR compliant which was a huge talking point for automation and storing candidates information. Luckily Landed’s Platform offers all of these features and more! Our Talent Acquisition Software helps you cast the net wider than ever to find the best talent. Then after using our screening tools, you can have a video interview with the best candidates before hiring the best person for the role. Not to mention our brand new insights tool with reports at a touch of a button your admin time is drastically cut.